This is another short-lived weekly from Britain's Annex of Ideas. 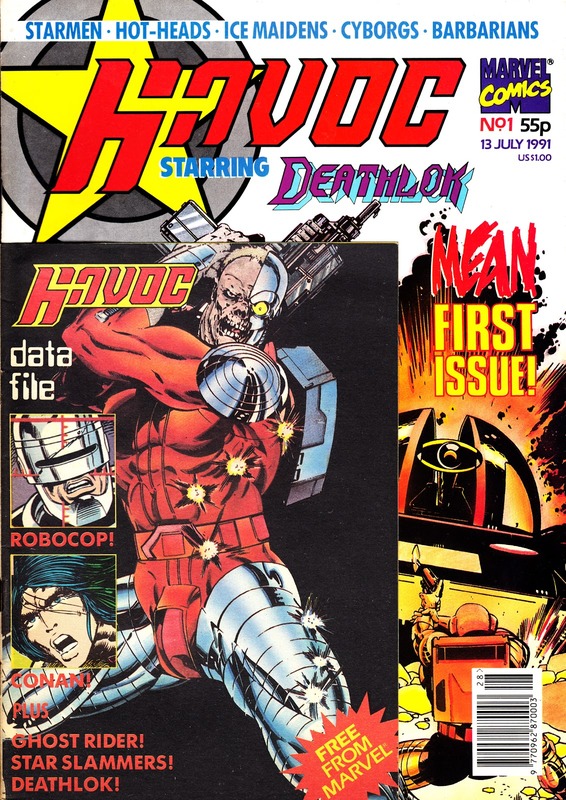 HAVOC clocked-up only nine weeks in the newsagents, over the summer of 1991, before vanishing without warning. 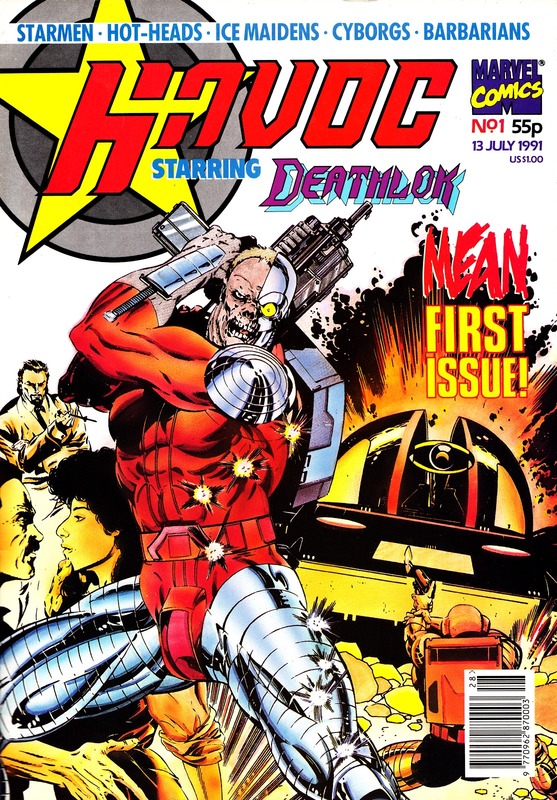 Despite its early demise, Marvel UK head honcho Paul Neary said in interviews that HAVOC pointed the way for the company to produce its own all-original-material comic, a plan that became GENESIS '92 aka OVERKILL. * I remember reading somewhere (possibly a copy of COMICS INTERNATIONAL) that M-UK had hitherto resisted reprinting these US strips because the British creative team, Alan Grant and Lee Sullivan, wouldn't receive any royalties for international editions. Ah yes, indeedy! I remember MELTDOWN. It reprinted LIGHT AND DARKNESS WAR, AKIRA and *I think* NIGHTBREED. I think I have the five issues (certainly the first and last) floating around somewhere. At least it had the good-grace to officially bow-out, even if it didn't have a chance to wrap-up any of the ongoing strips. The last issue had a preview text article for GENESIS '92, before they settled on OVERKILL as the title of the British anthology. I'll try and dig them out and get them on here. Both Havoc and Meltdown were in some ways stop-gap titles while Paul planned his real full salvo of both US format and a UK format anthology (Overkill). I edited both of these - they weren't "doomed to fail" but their success wasn't necessarily seen as vital. Yes, Nightbreed ran in Meltdown, as did Akira - never quite worked out the logic of that one... I imagine we'd still be running it today if Meltdown (and Marvel UK) had continued!